Wing Commander Colin F. Gray, D.S.O., D.F.C. and two bars, of Gisborne, had an attentive audience in members of the Air Training Corps when he spoke on combat tactics at Hamilton last week. 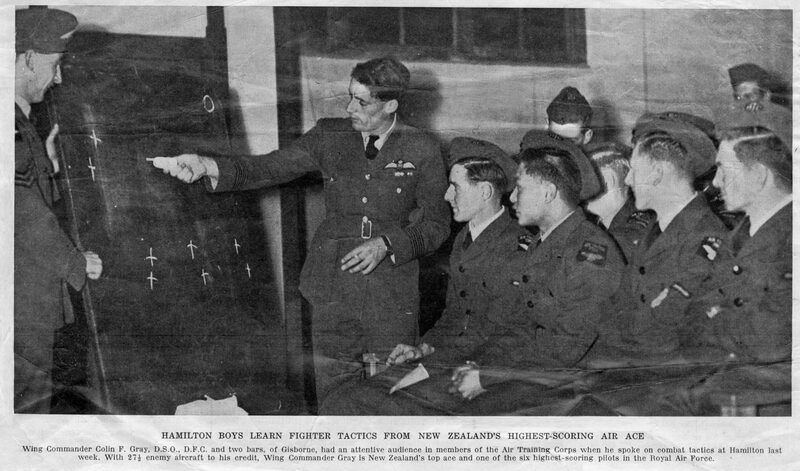 With 27½ enemy aircraft to his credit, Wing Commander Gray is New Zealand’s top ace and one of the six highest-scoring pilots in the Royal Air Force.